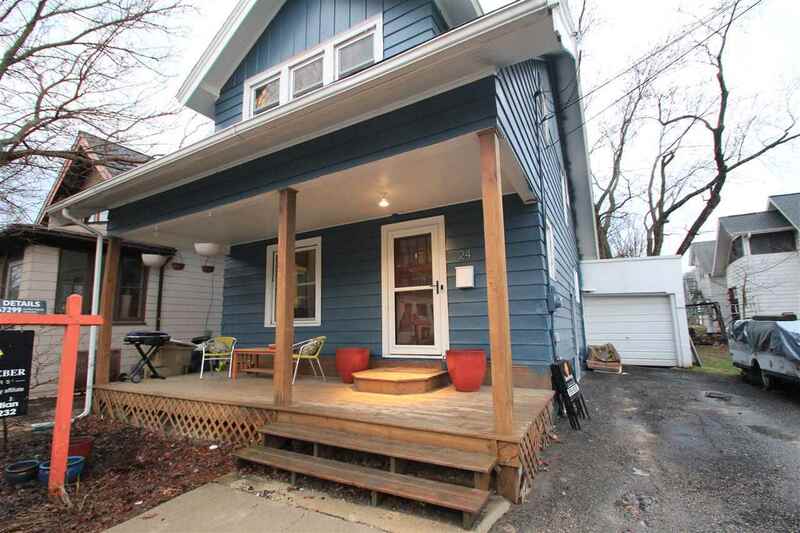 24 N Few St, Madison, WI.| MLS# 1853685 | John Reuter Realtor/Broker/Owner of The Reuter Team. Wisconsin Homes for Heroes Realtor. Proud to be the Top Homes for Heroes Realtors in Wisconsin and One the Top Homes for Heroes Realtors in the United States. Showings start 4/10. Stylishly remodeled bungalow w/ vintage showpieces: exposed brick, beautiful woodwork & staircase -a blend of modern & trendy (Pottery Barn hardware, Edison-lit spaces) w/ gorgeous hints of yesteryear hard to find in the cookie cutter-burbs. Tight-knit neighborhood yet blocks from the hottest tech booming âCapitol Gatewayâ E Wash corridor. Walking/biking distance to Google 10 Building, Bubble Up/Avenue Bar, Cap Square, Tenney Park, Willy St, schools/yoga/gyms/Festival Foods/restaurants galore. Majority mechanicals NEW+UHP Warr. 1-car GARAGE! Side note:SFR homes rent for $3K+ here. Come see. Directions: E. Washington To North On Few St. Items Included: Range/Oven, Refrigerator, Dishwasher, Microwave, Water Softener, Some Window Coverings.